The UK's Big Four accountancy firms should be separated into audit and non-audit businesses, says an influential committee of MPs. Deloitte, EY, KPMG and PwC conduct 97% of big companies' audits while also providing them with other services. 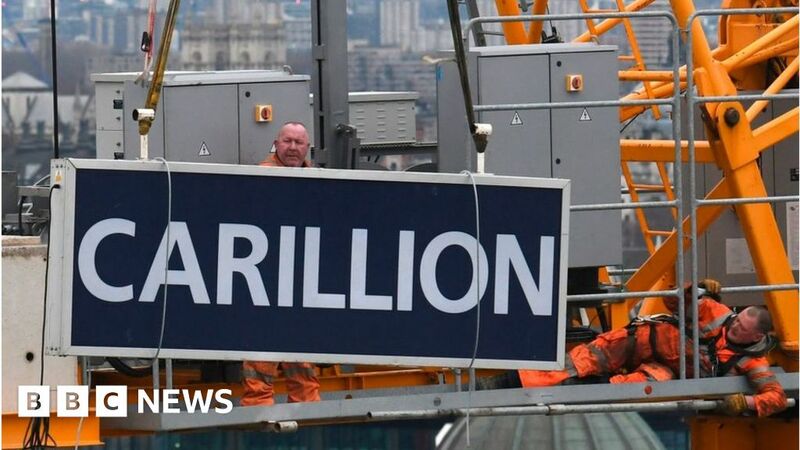 The CMA's review, released on 2 April, follows high-profile company collapses such as construction firm Carillion, which was audited by KPMG. It comes on the same day that the Financial Reporting Council (FRC) announced it had opened an investigation into KPMG's audit of Carillion. In a report, the Business, Energy and Industrial Strategy (BEIS) Committee endorsed the CMA's proposals, but said a full break-up of the Big Four would "prove more effective in tackling conflicts of interest". Rachel Reeves, who chairs the committee, said: "For the big firms, audits seem too often to be the route to milking the cash-cow of consultancy business. "The client relationship, and the conflicts of interest which abound, undermine the professional scepticism needed to deliver reliable, high-quality audits." Ms Reeves said vested interests should not be allowed to get in the way of positive change, adding: "We must not wait for the next corporate collapse." Among its other recommendations, the committee said there should be a pilot scheme of joint audits for the most complex cases, "to enable the challenger firms to step up". "In light of the failings at Patisserie Valerie, audits must state how they have investigated potential fraud, including by directors," the committee said. Cafe chain Patisserie Valerie fell into administration in January. Its accounts were found to have been overstated by £94m, according to its administrators KPMG. Michael Izza, chief executive of the Institute of Chartered Accountants in England and Wales (ICAEW),welcomed the report, saying that it made "many sensible suggestions" that would help achieve better choice in the market for audits. "We are concerned that some of its ideas for reducing conflicts of interest, such as the break-up of the largest multi-disciplinary firms, might prove counter-productive," said Mr Izza. "This could both drive out incumbents and discourage new entrants and it would be unfortunate if an attempt to guarantee the independence of audit firms ended up undermining the resilience of the audit market." The enquiry involves an assessment of the governance, controls and culture within KPMG's audit practice, the FRC said. A KPMG spokesperson said the BEIS Committee's report showed that "trust in audit is in urgent need of repair", adding: "We have been open about the need for change and we want to play a leading role in building a strong, sustainable and trusted audit sector for the future." Deloitte's UK managing partner for audit, Stephen Griggs, said: "We welcome many of the [BEIS Committee] recommendations, including extending the scope of the audit and better regulation of audit, but we have concerns about a potential structural split. "This will be detrimental to audit quality and could materially damage the UK's competitive position as a leading capital market." Teenager's online petition to save father's job at 2019-04-19 00:14:00In the petition titled 'Saving future of 16,000 Jet Airways employees', she has sought instant financial help for the airline from the government. Jet Airways issues gag order, asks employees not 2019-04-18 23:56:00Jet said talking with external stakeholders especially the media might impact the bidding process for airline's stake sale. TikTok fans are searching for proxies after Google, 2019-04-18 23:45:00TikTok, which is very popular among children, is facing criticism for circulation of "pornographic content".